I don’t talk about my writing process all that much on this site because every writer has their own way of figuring things out. That and I generally find it dull, but the motorcycle ride yesterday reminded me of a trick that I find handy and you might, too. I spent a lot of time on the back of the bike doing “headwork” and trying to sort out character motivations and worldbuilding. The moment we stopped, I pulled out my keyboard and started writing. Not story, but jotting down what I’d been thinking about during the headwork. In fact, the term is misleading because, while I spend some time just thinking, like yesterday, I usually write a lot of this stuff down in the form of a dialog with myself. Sometimes this happens at the beginning and sometimes in the middle when I discover a plot problem. The key is writing it down, because that makes the ideas less slippery. I can see when I’m covering the same territory because I have a log of my thought process. I was going to use yesterday’s session as an example, but it’s sort of too in the middle of the project, to be useful to anyone except me. But, while working on “American Changeling,” I found my characters stalling a lot, which is a sign to me that I don’t know what they want. Now, I knew that my main character needed a Key to open a magically shut gate. But what was that key? I had no clue. Here’s my log of the headwork I did to sort that out. How does she unlock the gate?. First of all… Who locked it? Queen Elizabeth? To protect her borders because the Fae were going to make a deal with the Scots or the Irish. Research that. OR did the Faerie Queen lock it herself to keep out the mortals who were corrupting her people OR to stop a threat from the Unseelie Court. Let’s go with Queen E or no… the catholics but for similar reasons. ((Eventually wound up with Queen Mary)) Now. Where did the key wind up? A chalice. A mirror. An ink pot. A vase. A… What’s a reliquary. Now that’s an interesting idea. Yes. If the — oh, not the Art museum. A catholic church — reliquaries hold the bones of a saint, preferably a woman or child, but is actually the bones of a Fae. Yes. That makes sense. All of which led me to a clearer understanding of my backstory and once I knew who my bad guys, I could make smarter choices about their actions. The thing about writing it down is that it makes it less ethereal. It gets it out of my head and lets me look at it without the sort of idealized Ah-ha! moment that vanishes when actually examined. I won’t pretend that I made this idea up. I know a lot of writers who do it. I picked it up in Orson Scott Card’s Literary Bootcamp and, boy, has it made my life easier since. How about you? What’s your favorite trick? Help with listening and reading? If anyone has time, I could use help with two tasks. 1) I recorded a story (not mine and I promise it’s good) and I need to listen to it to make sure that we didn’t leave any of my stumbles in it. I’m tuning out my own voice. The story is two and a half hours long, but the section in question is just in the first half hour. 2) I have to turn in a list of books that one of my novel length manuscripts resembles. I’ve got one name to offer and then I blank. Is anyone willing to read this puppy and offer suggestions? You don’t even have to read the whole thing! Just enough to say, “This reminds me of [blank].” The only catch is that I’d like to turn in the list on Monday. It’s Urban Fantasy. Edited to Add: Many thanks to Julia and Scott for responding so quickly! And now, I’ll go back to doing the layout which is paying the bills. Let me talk about conventions and their relationship to my writing life. Everyone will have very different experiences, depending on their personality. Here’s how it works for me. I primarily go to conventions for three reasons. To see other people in the field whose company I enjoy. 1) To see other people in the field whose company I enjoy. I relish the social aspect of SF. There are people that I just plain like and a convention is like old home week. It’s fun! I like you guys. A convention with a really good list of panels is going to appeal to me more than one in which I only hang out at the bar (though I love that, too). I want to know what’s happening in the field and to think about things that aren’t just products of my own brain banging against the inside of my skull. Even if I only learn one new thing, that’s a thing I didn’t know before. I’m a new writer, so I’m building my “brand.” I’m not going to get that many new readers at a convention, but the people at cons are the ones who vote on things and frankly, nominations can be leveraged ((Nominations and awards do not automatically mean a reader increase. You have to know how to work them, but the power of narrative on career is a different topic.)) into getting more readers which means…that cons are filled with a good target audience. Cons also tend to have editors at them and those are good people to know. Now, I’ll be frank about how this works, because a lot of people don’t understand how to do effective schmoozing. Yes, yes, I’m aware that admitting this happens is distasteful. But, I’m going to talk about how to schmooze, anyway. These are all ideas to employ but none of them are hard and fast rules. Schmoozing is all about being charming and that will vary somewhat depending on the situation. So, here are the basic ideas behind successful schmoozing. First idea: The other person is more interesting than you are. Clearly, there are going to be cases where this isn’t true BUT act like it is. Why? Because the more time someone spends talking about himself and the more he feels intelligent and the more interesting he will think the conversation is. Hence, the more interesting he will think you are. So practice being a good listener. Now, the way I do this is that as I’m talking with the person, I listen for the things that we have common interests in. They like cars? Great, I can reference the MG-TD that I covet. That gives me something to add to the conversation so that they don’t feel like they are being interrogated. What if you can’t find any common ground? Second idea: Have an exit strategy. Exit strategies are also useful when you are trapped in a conversation. It’s okay to break the flow and say, “I’m so sorry, it’s been good talking to you, but I need to [x].” Yes, I’m suggesting that you lie. They trapped you. You are escaping. It’s fair. But if the conversation is going well? Third idea: Don’t be the first to bring up business. Why? Because everyone at the con is talking about writing and business and you, you will be a welcome respite in the midst of a sea of people who have all been talking about the same things. You stand out this way. Now, if someone else brings it up, you are more than welcome to indulge, but don’t go there first. Later, make sure you follow up, but when you are in a non-business setting, leave the business alone. Fourth idea: When the conversation turns to business, be prepared. It is a con, so the conversation is very likely to swing round to writing. If you have something to pitch, practice your pitch at home. If you have a question, practice it at home. If you’ve gone to panels, think about what your opinion is before someone asks you. I rattle off a couple of magazines — which is what they want to hear — and I fail to say, “I’m one of the finalists for the Campbell Award this year.” I think I told two people that at the last con. This is foolish. Someone gave me an opening to pimp myself and I didn’t oblige them. Fifth idea: Be physically pleasant. Is this shallow? Yes, yes it is. But we’ve all read the studies that repeatedly show that people who are attractive are treated better, so for heaven’s sake, take advantage of that. You look good in green? Wear green. Nicely turned calves? Show them off. And for heaven’s sake, bathe. Trust me, in a con, just a little bit of effort will make you stand out. Want to know a secret? In real life, I almost never wear makeup, but I wear it at conventions. Too many people take photos and I look dead in photos without it. Especially on very little sleep, which is a natural state at cons. You meet someone who is either fascinating or who might be a good connection later. Drop them a line afterwards. It can be as simple as swinging by their website and saying “Hey, good to meet you!” Don’t stalk them, but that tiny bit of post con contact will help them remember who you are. Heck, it’ll help you remember who they are too. By the way, this is why it’s good to hand out cards at conventions. I’ve been bad about this lately and keep forgetting to print enough to take with me. 1. The other person is always more interesting than you are. 2. Have an exit strategy. 3. Don’t be the first to bring up business. 4. If business comes up, be prepared. 5. Be physically pleasant, ie, bathe. There are other things too, but these are the basics. This is one that comes up a lot and, strangely, I don’t think I’ve posted on it, so I’ll give the long answer. I was one of those kids who wanted to do everything. My parents indulged me and so I took violin, art, theater classes, writing workshops and then, in high school, discovered puppetry. A friend of mine went to a church that had a puppet ministry program, which was the coolest thing ever. I started going to the church so I could be involved — maybe not the best reason to join a church. Anyway, I got very lucky because the leaders of the puppetry program worked very hard on teaching us good skills. A lot of puppet ministry programs have truly dreadful puppetry. I loved the puppetry. When our high school did Little Shop of Horrors, I was the plant. I did puppetry as a hobby until I went to college. I majored in art education with a minor in theater, which was the closest I could come to combining everything that I loved to do. ((Later I learned about colleges, like the University of Connecticut, that had puppetry programs.)) My sophomore year, the college did Little Shop and I was the plant again. Then a professional puppeteer came to see the show. Until that moment, it had never occurred to me that someone would actually get paid to do puppetry. I mean, sure, I’d seen Sesame Street, but that was on PBS and everyone knew that PBS was run by volunteers, right? Yeah… But this puppeteer, Dee Braxton, owned a house, only worked a couple of days a week and most importantly, was willing to train me. By the end of the first summer, she was handing me the gigs she couldn’t take. People were giving me money. To do puppets. I was making more money doing that than my part-time job. Later, I realized that we lived in an area of the country with a very low cost of living and that we were the only puppeteers in a three county radius. It helps. From there I went to the Center for Puppetry Arts in Atlanta, GA for an internship. This shaped me as a puppeteer more than anything else. George Latshaw (like unto a god, in puppetry) was directing, and the cast was a dream team of puppeteers, Jon Ludwig, Jane Catherine Shaw, Bobby Box, and Peter Hart. Pete was in charge of the internship program and my mentor. If I tried to say enough good things about that program, I would bore you, so suffice to say that I can trace everything back to there. After the internship, I just kept working. I’ve been at it for nineteen years now and, with the exception of a two-year break due to a wrist injury, have made my living as a puppeteer. Until I came to NYC. Now the irony here is that, before Iceland, I’d had several years where I worked three to five months out of the year here, as a puppeteer. I always felt as if I would work constantly if I lived here. And behold, that’s true. The odd thing is that almost all the work has been in the props department. That’s something I stumbled into and I’m not quite sure how I feel about it. On the one hand, I enjoy it and it’s honest work. On the other hand, it’s not why we came to NYC and is taking up so much time that I haven’t had a chance to really pursue puppetry and it’s cutting into my writing time. Rob and I are talking about how to balance that, going forward. I’ll keep you posted on how that goes. As the shows I’m working on wind down, and I get various project turned in, I’m seeing snippets of free time appear. I look at them somewhat askance, but I think I might see some more of them. Theater season does wind down in the summer. I think I’ll actually be able to catch up on my journal. But I’ve been having this weird thing happening lately, since I’ve been too busy to actually sit down and write a journal post but I still have ideas for them, I wind up composing them in my head on the way from point A to point B. Then, by the time I finally have time to write (like now) can’t remember what I’ve written about and what I’ve merely thought about writing about. So, if I’ve mentioned something in passing and you want me to expand on it, please ask. Celebrating its 10-year anniversary, the literary magazine “The First Line” — where all stories in an issue begin with same opening line — presents an evening with some of its favorite writers. Three authors will read select work from the new anthology, â€œThe Best of The First Line: Editorsâ€™ Picks 2002-2006,â€ and share some insights on writing for this unique quarterly. Pass the word and come hear us on July 24th at 7pm. I’ll be going to my first WisCon and am extremely excited by the programming they offer. Here are just the panels that I’ll be on. Much of SF/F art is illustrative, growing directly out of the writer’s vision. But some artists are doing exactly what writers do–using a myth or folkloric theme or story as a starting point and interpreting it in a new and personal way, developing a story with a vision of their own. These image/object driven visions are sometimes then the inspiration for a writer’s new story. How is the process of creating a vision the same in writing and art? How is it different? How do they cross-pollinate? per look and examine how societal structures, workplace policies, and government taxes and subsidies discourage or encourage our decision. With Amazon’s Kindle being the latest entry in the ongoing attempts to scale the Everest of e-book technology, it’s time to look at the technology of the book, and where we think it might be going in the next 10-20 years. Topics might include what’s wrong with the current set of e-books, what people would need to move to an e-book solution, and new technologies/approaches in the paper-book world, such as the increased use of POD books. As privileged allies in tee struggles against various oppressions such as racism and sexism, sometimes we make mistakes, and some of our strategies are more successful than others. And some of us are frightened by the idea of tackling the learning curve and making fools of ourselves along the way. Others of us aren’t even sure where to begin. This panel will discuss starting points, common pitfalls, embarrassing stories of mistakes made and overcome, and how to do it right. My beloved folding keyboard, which I use with my palm pilot, died today. I clocked a lot of miles on it but it won’t talk to my palm anymore. Now, there is a chance that it’s actually the infrared sensor on my palm that’s kicked the bucket, but either way, I’m looking at replacing a piece of equipment. This isn’t just a geek toy, I use my Palm and keyboard all the time. I’ve been trying to hold out replacing it until an ultramobile tablet computer became affordable, but I may start thinking about it harder now. Any suggestions from the peanut gallery? What I want is a gadget that I can write on, by both typing and handwriting/grafiti, one that will let me use Vindigo, function as an ebook reader, and display the subway map. It needs to sync with my computer easily. In an ideal world, it would also have wifi and a camera built into it. And light. My current combo weighs almost exactly a pound. For those days when you can’t find the right writing tool, why not tryWord Perhect? This is my first Nebula Weekend, so I don’t have anything else to compare it to except other cons. After checking in, I found my way to where they were handing out free books. I mean, hey, books, you know? Gotta keep your priorities straight. Every member got two heeping grocery bags of hardbacks. Good titles, too, like Michael Chabon’s latest, Gentlemen of the Road. From there, I headed to the hospitality room. Important note: Texans know how to lay out a spread. Homemade cookies, people. I spent a while hanging out there meeting new people and started to notice an interesting thing. The demographic of people who attend the Nebula Weekend seems to consist of people in their late forties and up. Yesterday, the only people my age or younger that I saw were nominees. Granted, due to the membership requirements, the organization will self-select to an older crowd because one needs time to establish a writing career. Still. It seems disproportionate. I understand more people are arriving today, so I’ll take note at the business meeting and the banquet tonight. At three I headed to the panel on Publishing Contracts by Sean P. Fodera. This was an excellent, excellent discussion. I took notes, but I need to make them into something that people besides me can read before I post them. His closing remark was that in doctors, lawyers… all of these people need to do continuing education to stay abreast of what’s going on in their field. That they need to continually practice in order to maintain their license. People with artistic licenses think that they don’t have to do so, but it’s just as important for us if we want to be professionals. I am in total agreement with this. ((The worst business-of-writing advice I’ve gotten was from OSC because he’s thirty years out from being a beginning writer and a LOT has changed in that time. Plus, he’s a major writer so gets to play by different rules.)) I wish the panel had not been so sparsely attended. It was the only panel yesterday and had only 22 attendees. Yes. I counted. The mass autographing session made an easy way to greet people, but, again, felt very sparsely attended. This might be because half the attendees were sitting down to sign things. I’d really like to see more general public at an event like that. Dinner, I spent with David Levine and Kate Yule. We went out for Indian food, which was not bad, considering that we are in Texas. I hung out in the hospitality room afterwards until my sleep deprivation forced me to retreat to my room. Mmm… sleep. Broken by a wake-up call at 5:30 am. A wakeup call which I did not request. I was annoyed, but not as annoyed as whoever didn’t get their call. I had an interesting experience the other night as a writer or, more accurately, as a storyteller. I had to pick up a prop two blocks from the Puppet Kitchen and thought I’d poke my head in to see what they were working on. A big group of my favorite people were there, making what has got to be one of the most gorgeous puppets I’ve seen. Half-consciously, Kim put a hand up to cover her new nose ring. She knew it pissed her parents off no end that she could tolerate cold iron and they couldn’t, not like there was that much iron in a nose ring. “11:49.” Kim dropped her hand and turned to face Mom, her Doc Martins making a satisfactory clomping sound on the hardwood floor. “I’m here. Home before midnight. No one with me.” As if she’d take the chance of her glamour dropping and showing her friends what she really was. A freak, like her parents. I thought they were going to throw the puppet at me. I glanced at all the sharp instruments they had in their hands, decided that my life was in danger, and told them the rest of the story. My word-smithery went out the window pretty fast leaving me with voice to convey mood and then… the rest was all about the plot. What happened next. I knew basically what I wanted to have happen, but I hadn’t worked out any of the details yet. Having a live audience listening to me as I found my way through the rest of the plot points showed me exactly which things were interesting and which weren’t. (The car chase is right out.) If they had a question, I could stop for exposition, (See, the Faerie Queen knew there was a traitor, she just didn’t know who) while making a mental note that I needed to plant that piece of information earlier when actually writing it. When I got out of there, I sat down with the keyboard and the words fairly flew out of me. I still have a couple of thousand words to go, but I know exactly what happens next. Hans Christian Andersen used to do this. As he was working on a new story, he would tell it to a live audience and then go write it down. I don’t think I’ll do this with every story, but telling this one to a group was a good reminder that writing was created to capture the spoken word. I might be a writer, but I do that because, really, I’m a story-teller. 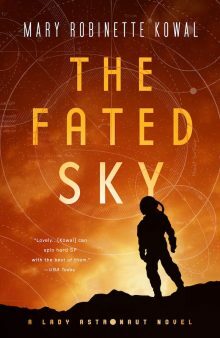 On the other hand, Elizabeth Bear introduced me to Jay Lake, who in turn set up a meeting with Ken Scholes, and he recommended Mary Robinette Kowal, who became a new client of mine last month. (That makes it Mary’s turn….) So, it certainly has its advantages. They still all had to write really, really, really, really ridiculously good books. Which set me thinking… See, the thing is, that Ken’s introduction let me jump the slush pile. BUT if I’d sent in my first novel, Jennifer would have rejected me. The novel I signed with is the fourth that I’ve written. Novel 1: Middle-grade Fantasy – Six months. I think this has potential, but there’s a flaw in the first three chapters that I can’t seem to fix. I sent this out to publishers on my own for a while, and always got requests for partials but no requests for fulls. Now. This is book one in a series. Did I write the second book in the series next? No. Novel 4: Regency romance/Fantasy – Three months. Good! This immediately felt stronger than the others and I had a clear view of what changes needed to happen. So I didn’t wait on the revisions. This is the one I signed with. The point being, that it took a while for me to learn to write something salable and that if I’d sent in any of the others, I think I would still be without an agent because those books aren’t there yet. I do think they can be, but the course I chose to take — and mileage varies — was to write novels in several different genres to see which one stuck. I have sequel ideas for all of them, but until I knew that I had a book one that worked, it didn’t make sense to invest time in a string of books in the same world. At the moment, I’m doing revisions on Novel 2 and continuing to work on short stories. Right now, I’m at a point in my career where I have the luxury of taking a year off from a novel before doing revisions. Since I’m a better writer now than I was a year ago, waiting to revise the novels is like earning interest on my skills. Seriously. I re-read Novel 2 and it was dead easy to see where it had gone astray. The revision process is like swimming downstream. Now, let’s say that Ken offered to introduce me before I’d written Novel 4. I knew Novel 1 was flawed, so sending it in would have been wasting that opportunity. What’s more, it would have been embarrassing to Ken. I’m sure that someday I’ll introduce a writer to Jennifer, but I can almost guarantee that it won’t be with their first novel. Accepted to Launch Pad Astronomy Workshop! I’m extremely pleased to get in because some part of my brain was sure that the April Fool’s Prank was totally going to jinx me out of going. I’m relieved my superstitions didn’t play out. And super excited to be going to space camp. I mean, big telescopes! Real astronomers! When I was in… (Mom? What grade was I in when I did Dr. Danby’s astronomy class?) Anyway, one summer my mom got me into an astronomy camp taught at the local college. I was definitely one of the younger students, but it wasn’t a college level course. I remember that she would drive me out to Meredith College so that we could stand in a field and look at the stars and planets through the telescopes. I loved it, and not just because I got to stay up past my bedtime. My dad helped me make a planetarium out of a refrigerator box for my science fair project. We kept it for ages after that and it was one of my favorite things. So getting to got to a NASA-funded workshop is really a childhood dream come true. I can’t wait.